To access the main park area, including the Dunes Parking Lot, Visitor Center, and Pinyon Flats Campground, take Highway 150 from the south or County Road 6 from the west. Both are paved highways. 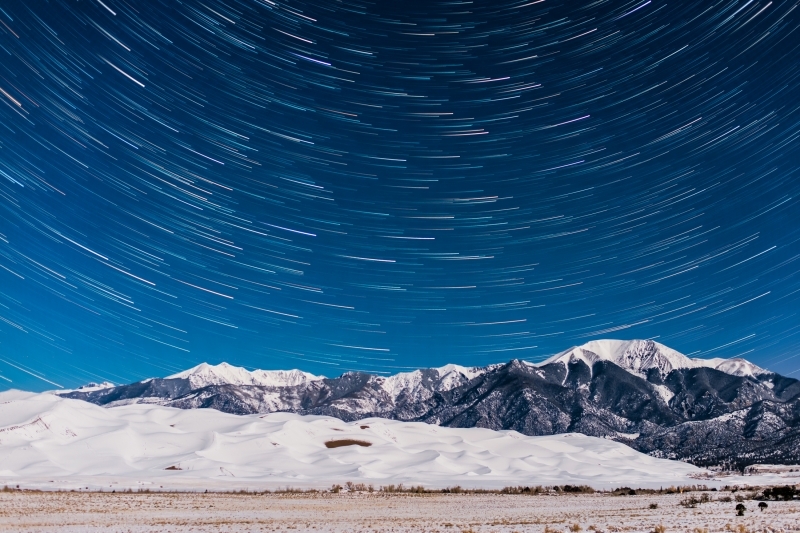 For this star trails sequence over the Great Sand Dunes in January I spent a few hours freezing my rear end off in -22 degree weather. I was originally looking for meteors during the Quantarid Meteor Shower; however, I was happy to get some nice light from the moon on the peaks above the Great Sand Dunes.